American citizen Adel Daoud was the subject of an undercover FBI operation in 2012. The then-18-year-old was arrested in Chicago, Illinois, in September 2012 on charges of attempting to use a weapon of mass destruction and attempting to damage and destroy a building by means of an explosive.“United States v. Adel Daoud,” United States District Court Northern District of Illinois Eastern Division, September 15, 2012, 0, http://www.justice.gov/archive/usao/iln/chicago/2012/pr0915_01a.pdf. During months of online communication with undercover FBI officers, Daoud expressed his desire to kill Americans, and reportedly created a list of targets including bars, malls, and military recruitment centers.“United States v. Adel Daoud,” United States District Court Northern District of Illinois Eastern Division, September 15, 2012, 19, http://www.justice.gov/archive/usao/iln/chicago/2012/pr0915_01a.pdf. He plotted to detonate a bomb inside of a car that would be parked in front of a Chicago bar.“Suspected Terrorist Accused of Trying to Kill Fellow Inmate in Chicago,” ABC Chicago, August 18, 2015, http://abc7chicago.com/news/suspected-terrorist-accused-of-trying-to-kill-fellow-inmate/942757/. On September 15, 2012, Daoud and the undercover agent met at a park and traveled to a parking garage where the agent had parked a Jeep laden with fake explosives. Daoud reportedly parked the Jeep in front of the chosen bar, walked one block away, and pressed the button he believed would detonate the vehicle. He was arrested at the scene.“United States v. Adel Daoud,” United States District Court Northern District of Illinois Eastern Division, September 15, 2012, 6, http://www.justice.gov/archive/usao/iln/chicago/2012/pr0915_01a.pdf. Before his arrest, Daoud read, watched, and circulated jihadist content online.“United States v. Adel Daoud,” United States District Court Northern District of Illinois Eastern Division, September 15, 2012, 7, http://www.justice.gov/archive/usao/iln/chicago/2012/pr0915_01a.pdf. He was particularly interested in the work of al-Qaeda in the Arabian Peninsula (AQAP)’s Anwar al-Awlaki, who the U.S. killed in a drone strike in Yemen in 2011. Authorities later found al-Awlaki’s videos on Daoud’s personal computer.“United States v. Adel Daoud,” United States District Court Northern District of Illinois Eastern Division, September 15, 2012, 9, http://www.justice.gov/archive/usao/iln/chicago/2012/pr0915_01a.pdf. In online conversations with undercover agents, Daoud made a variety of inflammatory and threatening remarks.“United States v. Adel Daoud,” United States District Court Northern District of Illinois Eastern Division, September 15, 2012, 16, http://www.justice.gov/archive/usao/iln/chicago/2012/pr0915_01a.pdf. 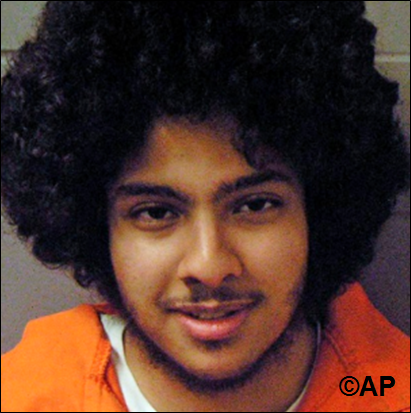 He expressed his desire to kill as many Americans as possible in a terrorist attack, as well as his goal to “brainwash” fellow Muslims into committing similar acts.“United States v. Adel Daoud,” United States District Court Northern District of Illinois Eastern Division, September 15, 2012, 11, http://www.justice.gov/archive/usao/iln/chicago/2012/pr0915_01a.pdf. He defended the actions of Osama bin Laden, and mentioned how much he loved “killing kuffar” (nonbelievers).“United States v. Adel Daoud,” United States District Court Northern District of Illinois Eastern Division, September 15, 2012, 14, http://www.justice.gov/archive/usao/iln/chicago/2012/pr0915_01a.pdf. Daoud was deemed mentally fit to stand trial. In 2013, while in jail awaiting trial, Daoud was charged in a separate indictment after he allegedly tried to solicit the murder of the undercover FBI agent with whom he had been unwittingly planning a terror attack. Daoud wanted to prevent the agent from testifying against him at trial.Jason Meisner, “Feds: Teen arrested in bar bombing plot solicited murder of FBI agent,” Chicago Tribune, August 30, 2015, http://articles.chicagotribune.com/2013-08-30/news/chi-federal-judge-rules-against-teen-terrorist-suspect-20130829_1_undercover-fbi-agent-fbi-analysts-adel-daoud. In August 2015, Daoud stabbed a fellow inmate with a homemade shank after the inmate showed Daoud a drawing he had made of the Islamic prophet Muhammad. Daoud was charged with assault with intent to murder, assault with a dangerous weapon with intent to do bodily harm, assault resulting in serious bodily injury, and possession of an object intended to be used as a weapon in prison.Jason Meisner, “Loop car bomb plot suspect accused of attempted murder of fellow inmate,” Chicago Tribune, August 18, 2015, http://www.chicagotribune.com/news/local/breaking/ct-adel-daoud-new-charges-20150818-story.html. Though Daoud was initially found fit to stand trial, people close to him had questioned his mental capacities. His mother, Mona, said in an October 2012 interview that “[Adel’s] not the person with a complete mind. He didn’t talk until five. He was the last one of my kids to talk. He doesn’t even talk Arabic….like the rest of our family, because he’s slow.”“ILLUSION OF JUSTICE: Human Rights Abuses in US Terrorism Prosecutions,” Human Rights Institute, Colombia Law School, 2014, https://www.hrw.org/sites/default/files/reports/usterrorism0714_ForUpload_0_0_0.pdf. In December 2015, Daoud’s trial was postponed due to questions surrounding his mental health. In January 2016, a Chicago judge ordered that Daoud receive mental examinations. Daoud had reportedly spoken in court “about a Freemason’s conspiracy against him.”“Judge blasts repeated delays in jailed man’s terrorism trial,” Associated Press, February 24, 2016, http://bigstory.ap.org/article/78e95a7e3a9b4de6952f084605ce1ff2/judge-blasts-repeated-delays-jailed-mans-terrorism-trial. American citizen Adel Daoud was the subject of an undercover FBI operation in 2012. “Osama wasn’t crazy for wanting to destroy America.”“United States v. Adel Daoud,” United States District Court Northern District of Illinois Eastern Division, September 15, 2012, 7, http://www.justice.gov/archive/usao/iln/chicago/2012/pr0915_01a.pdf. “[T]hose people insulting awlaki can go kill themselves mashaAllah he is very knowledgable w. a decent character. inshaAllah hes accepted as a Shaheed. people r quick to judge n insult including muslims. the truth is he was against america n becuz america is the superpower he is always going to be seen as wrong no matter wat he says or does [sic].”“United States v. Adel Daoud,” United States District Court Northern District of Illinois Eastern Division, September 15, 2012, 8, http://www.justice.gov/archive/usao/iln/chicago/2012/pr0915_01a.pdf. “The point is in this magazine they encourage Muslims in the West especially in the USA to attack IN America. By all means this is something i would consider. But in know that if i started attacking in America i would probably not be able to go to Yemen or anywhere else for Jihad in the Cause of Allah”“United States v. Adel Daoud,” United States District Court Northern District of Illinois Eastern Division, September 15, 2012, 13, http://www.justice.gov/archive/usao/iln/chicago/2012/pr0915_01a.pdf. “i know a few brothers who support jihad and im [sic] trying to ‘brainwash’ more brothers into supporting it.”“United States v. Adel Daoud,” United States District Court Northern District of Illinois Eastern Division, September 15, 2012, 11, http://www.justice.gov/archive/usao/iln/chicago/2012/pr0915_01a.pdf. “Wallah man i feel like my love for jihad and killing the kuffaar who have transgressed against Allah has been RENEWED AND STENGTHENED i feel Amazing masha”“United States v. Adel Daoud,” United States District Court Northern District of Illinois Eastern Division, September 15, 2012, 14, http://www.justice.gov/archive/usao/iln/chicago/2012/pr0915_01a.pdf.